We combine passion and experience with cutting-edge technologies. Our goal is to brew only the best beer. Beer appreciated by fans of the golden beverage in Poland and abroad. Kompania Piwowarska operates three breweries with rich heritage: Tyskie Browary Książęce (established in 1629), the Dojlidy Brewery in Bialystok (1768) and Lech Browary Wielkopolski in Poznan (1895). These breweries provide Polish people with their favourite beers, including Żubr, Tyskie, Lech, Dębowe, Redd’s and the Książęce specialty collection. Our proven beer recipes, natural ingredients, pristinely clean breweries and, above all, superbly skilled and experienced brewers, allow us to brew beers that are highly valued in Poland and abroad. As a socially responsible company, we take good care of people and our environment. Executing our sustainable development strategy, we promote moderate and responsible consumption of alcohol, train salespeople, save water and energy, support the development of our employees and business partners and engage in voluntary work. We are proud to sponsor many local teams. We have been consistently earning a spot among Poland’s top employers. Over 10 year ago, we opened our doors to people who would like to explore our breweries, so they can see with their own eyes how we brew beer. Brewery tours can be booked at: www.zwiedzbrowar.pl (Tychy). Deliver on our great taste promise and bring more fun to life. Kompania Piwowarska was established on May 4, 1999 as a result of the merger o Tyskie Browary Książęce and Lech Browary Wielkopolski. That’s when one of the biggest and most hi-tech brewing companies in Poland was born. Four years later, on February 4, 2003, Kompania Piwowarska SA, with Euro Agro Centrum SA and South African Breweries Ltd as the main stakeholders, acquired a majority interest in the Dojlidy Brewery, which ultimately joined the group of KP’s breweries on April 30. Later that year, in July, Poland’s first beer trip centre Świat Lecha was opened and it still operates to this day, just under another name. Everyone can book a brewery tour at www.zwiedzaniebrowaru.pl. One year later, on November 22, 2004, another Kompania Piwowarska brewery opened its doors to visitors. That’s when Tyskie Browarium was created, which at that time was called Tyskie Muzeum Piwowarstwa. Nowadays, brewery tours can be booked via www.zwiedzbrowar.pl. Six years later, on May 14, 2009, SABMiller acquired 100% of Kompania Piwowarska’s shares. In 2017, Kompania Piwowarska underwent another ownership change. Now, it’s a part of Japan’s Asahi Group. Kompania Piwowarska was once again awarded the Ethical Company title at the competition organized by the “Puls Biznesu” daily. The beer producer managed to repeat its last year’s success, when it was honoured as the only representative of the food and beverage industry. Kompania Piwowarska received the Eagle title at the third edition of the competition organized by the “Wprost” weekly as the leading representative of its industry within the Wielkopolska region. The competition awards companies with the highest average net profit over the last three years and the highest average percentage increase of the net profit. Kompania Piwowarska was the only representative of the food and beverage industry to receive the 2017 Ethical Company title at the foruth edition of the competition organized by the “Puls Biznesu” daily. Kompania Piwowarska made its debut in the ranking with the Ethical Company title in the category for large corporations. Our CSR project "Postaw na rower 2015" was recognized in "Odpowiadam Polsce - Socially Responsible Companies Ranking" organized by Gazeta Bankowa and wGospodarce.pl as one of the most interesting in "Ecology" category and gained a notable finalist title. Żubr’s advertising spot titled “Tory” (Tracks) took 1st place in the Sound/Sound Design category of the advertising competition held by the Advertising Creators Club (KTR). In 2016, Kompania Piwowarska claimed a double triumph in the CSR Leaves ranking of the “Polityka” weekly. KP’s participation in the fifth jubilee edition of the poll resulted not only in the traditional CSR Golden Leaf but also a special award – the CSR Super Golden Leaf by POLITYKA. Thereby, the company was recognised for consistent implementation of its complex corporate social responsibility strategy “Prosper”. Kompania Piwowarska was named as the most responsible company of all time in 10 th edition of Responsible Companies Ranking, and claimed 2 nd position in 2016 ranking in the Consumer Goods category. Gold medal for Książęce Ciemne Łagodne in dark beer category with extract max to 18º and two bronze medals respectively for Tyskie Gronie in European Mild Lager category with extract 11,1-12,9° and for Lech Ice Mojito in Radler/Shandy style category. Książęce Złote Pszeniczne, Książęce Ciemne Łagodne, Książęce Czerwony Lager & Książęce Golden Ale Award: International Beer Challenge is perceived as one of the most prestigious competitions in world’s brewing industry. For the second time in a row our premium collection of beer specialities – Książęce was awarded with notable prizes. This year Książęce received silver medal in Design & Packaging category and what is more, its seasonal variant – Książęca Golden Ale was awarded with bronze medal in Tasting category. CSR Report of Kompania Piwowarska was awarded in 10th edition of “Social Reports” competition organized by Responsible Business Forum and Deloitte company. FMCG retailers together with readers of “Handel” magazine chose best-selling products in more than 80 categories. This year’s Hits were awarded with special regard to innovation and FMCG trends. Żubr claimed 1st position in beer brand category. Książęce – collection of beer specialites was awarded again in prestigious competition Good Beer Poland. This year the committee honoured Książęce with 3 medals. One of them was given to our seasonal variant – Książęce Pierwsze Zbiory which claimed 2nd position in “Pale Lager” category. Remaining two medals were given to Książęce Ciemne Łagodne which was awarded in “Dark Lager” category and Książęce Golden Ale in “Pale Ale” category. Tyskie and Redd's awarded with brozne Effie 2016 in most effective marketing communication campaign competition. Żubr received Kreatura 2016 awarded by editorial board of “Media & Marketing Polska” for its long-term creative achievements. Kompania Piwowarska was announced Firm of the Year 2016 thanks to its efforts fostering road traffic safety in Poland. Kompania Piwowarska’s programme “Conscious Driver” was honoured with the prize awarded by fleet industry specialists. 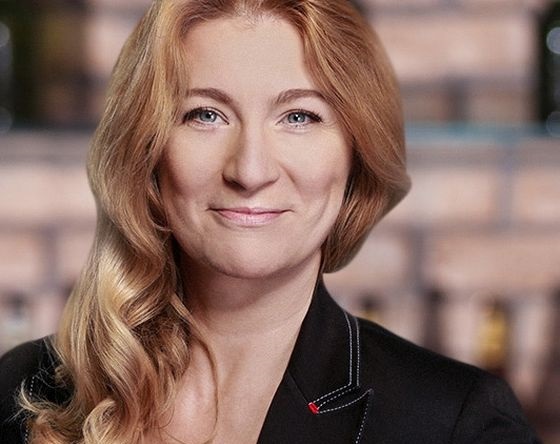 Kompania Piwowarska – as the only representative of the food industry – took place among the 20 most desired employers in Poland. Another brewery owned by Kompania Piwowarska – Lech Browary Wielkopolski – can show off with as many as four energy efficiency certificates, received for reduction of energy consumption. During the 7th European Economic Congress in Katowice, Kompania Piwowarska was named one of the three most responsible companies in the Consumer Goods category, next to Coca-Cola and Danone. This year, KP was also ninth in the general classification. Award for the complex social responsibility strategy. 7 projects of Kompania Piwowarska were mentioned in the report: initiatives in order to improving water and energy effciency whilst reducing CO2 emissions; two projects creating the responsible consumer behaviour; two actions dedicated to the employers - "Conscious KP Driver” and “Bet on the Bike” and sustainable development reporting as a long-term practice. For the first time in history (15 years of existence of the competition) brand won honorable mention in the competition "Master of Polish Speech". Kompania Piwowarska received her advertising campaigns for brand Tyskie and Żubr. In August 2015 all the variants of Książęce beer declared for the prestigious International Beer Challenge gained evaluating commission’ recognition. Książęce Złote Pszeniczne, Ciemne Łagodne, Czerwony Lager and a seasonal variant Książęce Chlebowo-Miodowe, all received bronze medals in lager degustation category. Książęce Czerwony Lager won a gold medal in the Dark Light Lager category of the third edition of one of the most important competitions in the beer industry – Golden Beer Poland. 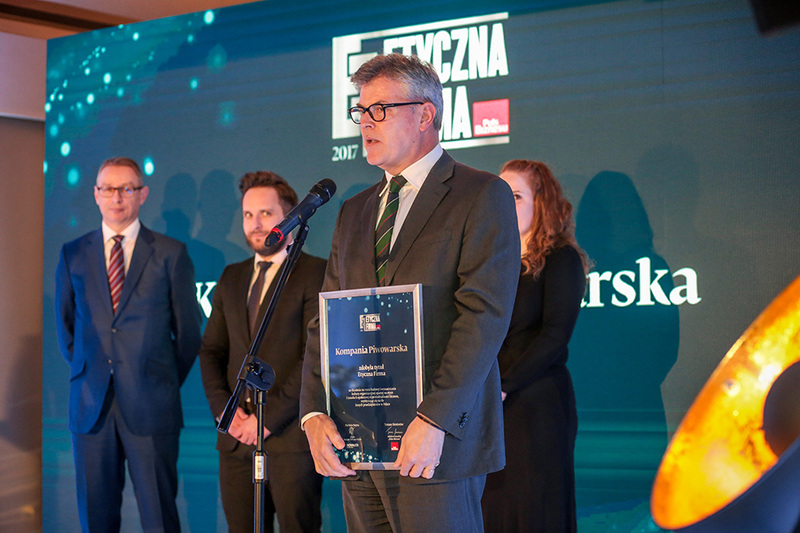 KP - as the only company in the food industry in Poland - was among the finalists of the prestigious European Business Awards, thereby obtaining the title of National Champion. The organizers appreciated the policy of KP in the responsible sale and consumption of alcohol. Such a distinction gives the company a chance for another trophy - Ruban d'Honneur in the category of Environmental & Corporate Sustainability. The award for advertising Bison: "The balanced nature" and "Bison for bison" in the category "Workshop video / radio". Bronze for "Tyskie Moving" in the category "Workshop for Film / Radio". KP - as the sole representative of the food industry - was among 20 the most desirable employers in Poland. The award for advertising Bison "Jackdaw" in the "Workshop video / radio". Bronze for Tyskie "5 Stadium" in the category of "Active advertising. Integrated Campaigns". The competition is organized by the magazine "Commercial News". Awards for Brands Classic Tyskie and Lech Shandy. The competition is organized by the "Wholesale & Retail". The Golden Receipts for brands and Bison Lech Shandy. KP was honored for his initiative "Band of Volunteers and Volunteering Platform" in contest organized for entrepreneurs from the province of Wielkopolska. Brewery in Tychy invested in energy efficient air compressors, so KP was in the elite group of 102 Polish companies, which first in the country received a certificate of energy efficiency. Sustainability Report KP received an award for comprehensive report the value chain based on the latest standard GRI G4. BEER OF THE YEAR is a title awarded by the Society for the Promotion of Culture of Beer Beer Brotherhood. Members of the Brotherhood of beer do not choose BEER OF THE YEAR. This title is the result of the sum of the ratings, the data obtained during competitions beer brewer - amateur and professional - taking place on Polish territory during the calendar year. Książęce received 4 medals in Golden Beer Poland 2014 contest. The report gives 6 practices executed by KP. In the “Social engagement and local community development” category the Voluntary Work Platform qualified for publication. In the “Environment” category two KP’s actions were commended. The first was the “Ecology is Worth it” activity with which the company reminded to consumers and retailers the advantages of returnable packs. What also gained recognition was the production of ‘green’ bags from unused advertising banners promoting KP beers. Three more KP initiatives were named in a publication by the Responsible Business Forum (RBF) in “Long-term Practices” special edition. These are: “Kompania Piwowarska’s Sustainable Development Report”, stakeholders panels, “In Tune with Nature” program. Also, a statuette was given to recognize 5 years of cooperation with RBF. Award in the Project of the Year category – Direct Marketing 2012 for Lech Premium brand. Distinction for Lech Tribute campaign in the “integrated campaign” category and distinction in the “use of the Internet and interactive media” category Distinction for Tyskie Klasyczne activity – like in real and for “5th Stadium” in the “use of communication channels” category. Two statuettes for Tyskie’s “5th Stadium” campaign – in the Nonstandard Marketing Project of the Year and PR Project of the Year categories. Award for Żubr’s “Jackdaw” commercial in the “Film/Radio Skills” category Bronze for Tyskie’s 5th Stadium in the “Active Advertising. Integrated Campaigns” category. Silver Columns for Świat Piwa monthly for laying down editorial standards and high content quality. Second award is Silver Columns for CRS report – unique artwork design stressing brand value. The Grand Prix and Gold Effie for the most effective marketing communicationcampaign received 5 Stadion" by Tyskie. Lech Shandy campain - beer invigorated lemonade" won the Silver Effie in the category "drinks. " Gold in the category of "standard light lager "received Tyskie Gronie. In the category of "dark lager" won Książęce Burgundowe Trzy Słody. In this category, the Książęce also won second and third place. Silver went to the Książęce Ciemne Łagodne, and the bronze to the Książęce Ciemny Lager. Categories "Taste ": Silver - Książęce Jasne Ryżowe, brown - Książęce Ciemne Łagodne; brown - Książęce Złote Pszeniczne;the category "The design and packaging": Silver - Książęce Ciemne Łagodne brown - Książęce Czerwony Lager ; brown - Książęce Złote Pszeniczne". Brewery in Białystok was awarded at the competition nationwide and won the first place in the Podlasie. "KP was named Leader of Sustainable Development for the second time in a row in prestigious competition organized by the magazine "Forbes" and consulting firm PwC. This year KP won "production / logistics" award for "optimizing the consumption of energy and logistics solutions that lead to a reduction in consumption fuel, reduce emissions and optimize fleet" project . Last year the company was awarded for activities aimed at optimizing the use of water in breweries." 10th edition of “Responsible Business in Poland 2011. Good Practices”. The honorable title of Patron of Polish Sport "obtained with nine other organizations "
"“Golden Receipt 2012” for Żubr brand awarded by retailers for best product and services on the FMCG market." Silver medal in the category for “Small Pack Lager” at the National Brewery Centre in Burton-upon-Trent. Ranked 8th in the Business category in a Ranking of Ideal Employers 2010 conducted by Universum Poland. 1st place in the category “Beer” as the most profitable product of the year. Platinum Magellan for the campaign “Appearances are deceptive, IDs are not” in the “Social Relations” category. Kompania Piwowarska / Artegence agency nominated for the "Lech Ice Team" campaign in the category for Advertising in the "Beverages" industry. Żubr brand ranked first in the Beer category for the most profitable product of 2010. Żubr: "Żubr’s Wake-Up Call to Podlasie"
Kompania Piwowarska – "Małe Piwo"
EEA for the “Małe Piwo” portal in the category for Intranets. The Best Internal Communications Project - Kompania Piwowarska – for a social network for the company’s employees (“Małe Piwo”). The Biggest Innovation in Intranets - Kompania Piwowarska for its project Archeo – design and implementation of an intranet system for the Marketing and Public Relations departments. Ranked 3 on a list developed by Rzeczpospolita newspaper – Polish Enterprises “List 2000” in the category for the biggest companies in the alcohol industry in Poland 2010 – a classification of the biggest companies in Poland according to sales revenues in 2009. Ranked 2 among corporate citizens in Poland in the Responsible Business Ranking 2010. The Beer Information Service ranked 1 in the category for the best electronic bulletin in Poland. An accolade for the Beer Information Service in the category for layout. Kompania Piwowarska - "Test your BAC"
An accolade for KP’s responsibility programme "Test your BAC" in the category for mobile marketing. Ranked 1st in the Beer category for the most profitable product of 2009. The Beer Information Service ranked 2nd in the category for the best electronic bulletin in Poland. 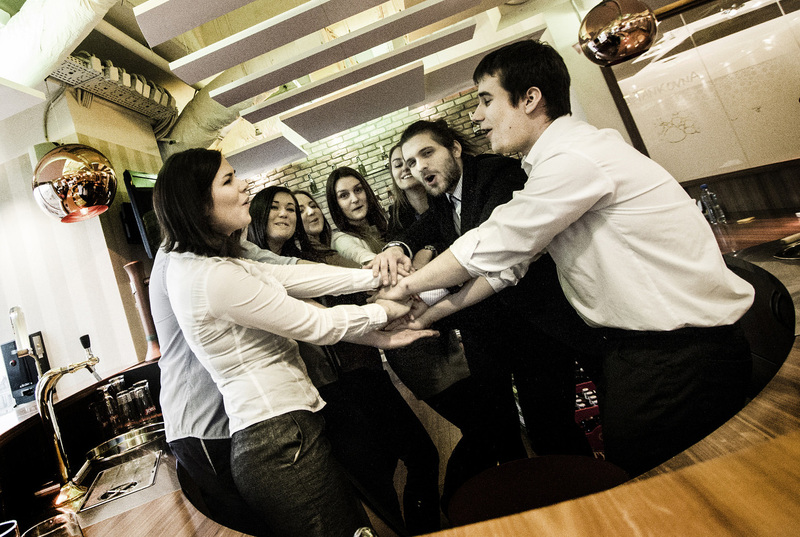 Ranked 1st in the category for the best internal bulleting in Poland. An accolade for “Świat Piwa” magazine in the category for the cover – Audience Award. the best layout of the year. The only company in FMCG sector ranked eighth (in the top ten). Award in the category: Product PR – Peroni Nastro Azzuro brand promotion. Award in the category: Corporate Social Responsibility – ‘For What It’s Worth’. Ranked first in the category: Prominent Polish Exporter. Award in the Best advertising campaign category for a regional campaign ‘Lech PILS. Only in Wielkopolska’. Golden Arrow for a local campaign in Silesia – ‘It’s on Tyskie’. ‘Commodity of the Year’ in 2000"
The President of Kompania Piwowarska since October 2018. His whole professional life has been revolving around the FMCG sector. 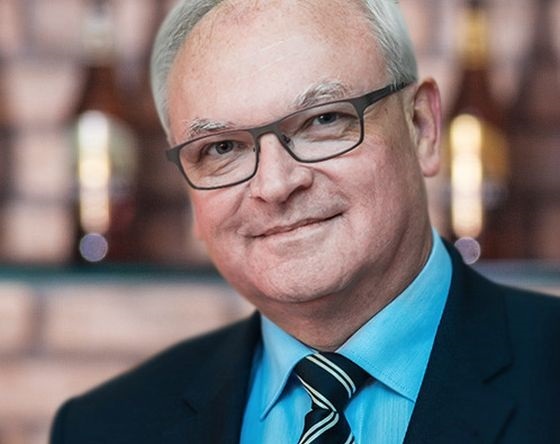 He kick-started his career in the brewing industry in 2001 at SABMiller, first acting as Sales Manager and later on as Strategic Development Manager in Russia. 2008 marked his appointment as Managing Director of the subsidiary in Ukraine, while four years later he became Managing Director in Slovakia. 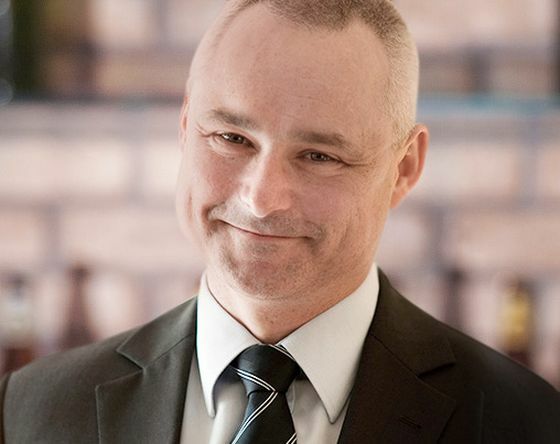 In 2014, Igor Tikhonov took the lead at Romania’s Ursus Breweries, which under his leadership quickly became number one on the Romanian beer market. Over the last two years, he has also been responsible for the development of the company on the Hungarian market, where he made his name as an experienced strategist. Thanks to his management skills, the company returned to a steady growth path and began to generate record-breaking revenue. Igor Tikhonov knows the importance of teamwork. He compares business successes to sporting achievements – both require intense efforts of a whole team, while every accomplishment provides a boost of energy and motivation to keep moving forward. Moments spent over a beer are especially valuable for him, as he considers them the best opportunity to bring back memories, cultivate traditions and spend time with friends. Since January 2016 employed at Kompania Piwowarska as the Vice President of Sales. 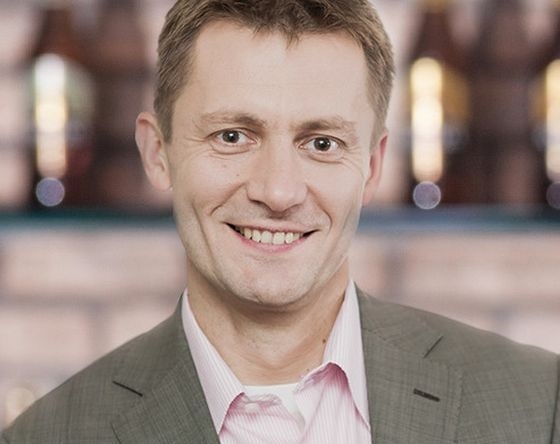 Before he joined the brewing industry, he had held the position of Commercial Director at Coca Cola HBC Poland. Previously, he had spent many years gaining experience at a number of senior positions at Unilever, including work in the Customer Development department for Poland and other Baltic countries and at the position of Customer Relationship Manager. 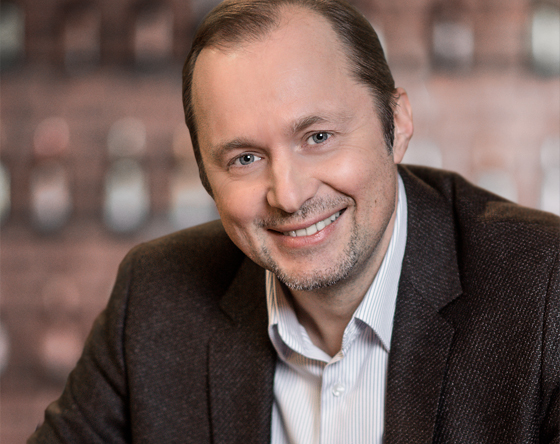 Michał has a proven history of achieving extremely difficult company objectives, building route to market strategies, developing customer strategies and customer relations, leading and coaching effective sales teams, negotiating and change management. He completed his Business Administration & Marketing studies at the Academy of Economics in Katowice. He has a great passion for running. In his spare time he drinks Pilsner Urquell. He has been associated with Kompania Piwowarska since 2010. At first he served as Commercial Finance Director, and since November 2016 he has been acting as Vice President of Finance. 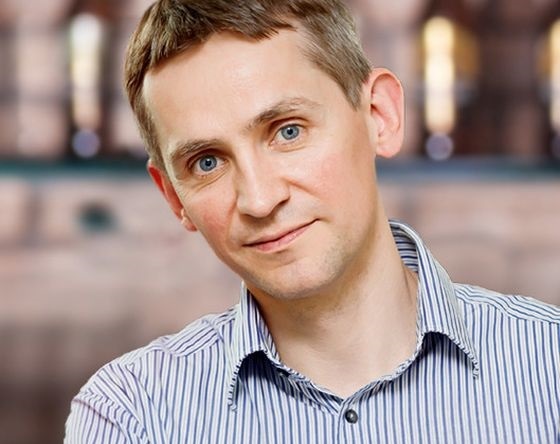 Marcin has extensive experience in the field of financial management within the FMCG sector. Prior to joining KP, he had spent 13 years holding various positions within the structure of the Procter & Gamble concern both in Poland and the European headquarters of the company. He graduated from the Oskar Lange Academy of Economics in Wroclaw with majors in Management and Computer Science, and then received his PhD degree from the Warsaw School of Economics (Collegium of Business Administration). He also holds an ACMA title. He is a keen sailor, and his favourite beer is Książęce Czerwony Lager. Working for Kompania Piwowarska since 1984. Before he joined the Poznan brewery, he had been working at the Poznan Factory of Harvesting Machinery (1981-1984): first as a constructor of agricultural machines and later as quality control manager. He’s held a number of positions at the Poznan brewery, from deputy technical manager, to project manager and investment director. As a member of the Management Board of Lech Browary Wielkopolski, he was in charge of production and technical development. He has been responsible for the same functions as Vice President at Kompania Piwowarska since 1999. Working for Kompania Piwowarska since 2008. As Vice President of Human Resources, he is in charge of employee relations at Kompania Piwowarska, making KP a consistently better and friendlier workplace. Before he joined Kompania Piwowarska, he had been a member of the management board at Volkswagen Poznan, responsible for human resources, and worked for Philips Lighting Poland and Wavin Metalplast-Buk. He is a psychologist by education, a graduate of the Catholic University of Lublin. As far as beer is concerned, he always favours the taste of Książęce Ciemne Łagodne. She majored in English at the University of Silesia and completed MBA studies at the University of Warsaw and the University of Illinois. As a native Silesian, she favours Tyskie, which she supported even when it was still a local brand in the south of Poland.